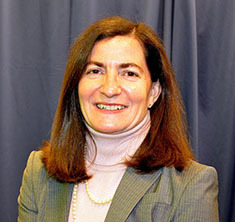 PITTSBURGH—Commissioner Julie Brill of the Federal Trade Commission (FTC) will discuss the challenges to personal privacy posed by the growing list of household appliances, cars and other devices that are now linked to the Internet as the keynote speaker for Carnegie Mellon University’s Privacy Day Jan. 28. Brill has taken a particular interest in online privacy and data security since joining the FTC in 2010. One area of recent concern has been the so-called “Internet of Things” – devices such as fitness trackers, thermostats and electronic toll systems that are connected to the Internet. These devices generate massive amounts of personal information and thus present challenges to privacy and security. Brill says addressing these challenges is now an urgent priority for consumers and companies alike. In her keynote speech, at 1:30 p.m. in the Rangos 3 ballroom of the Jared L. Cohon University Center, she will emphasize the importance of designing devices and systems that implement privacy, security and fairness..
It’s a problem that Carnegie Mellon is addressing, in part, with its pioneering master’s degree in privacy engineering. “We need technologists who understand privacy issues to work for companies that are designing ‘Internet of Things’ technologies, so safeguards are built in, rather than added on,” said Lorrie Faith Cranor, professor of computer science and engineering and public policy and the co-director of the master’s degree program. Graduates of the program have been hired by such companies as Google, Adobe, eBay, LinkedIn and Oracle. Immediately after her keynote, Brill will participate in a panel discussion moderated by Farnam Jahanian, CMU vice president for research. Panelists will include Alessandro Acquisti, professor of information technology and public policy, Norman Sadeh, professor in the Institute for Software Research and co-director of the privacy engineering master’s degree program, and Cranor, who is director of the CyLab Usable Privacy and Security Lab. CMU Privacy Day is open to the public and is part of Data Privacy Day, which is celebrated internationally and organized by the National Cyber Security Alliance. Events include a Privacy Clinic from 11 a.m. to 1 p.m. in the Rangos 2 ballroom, where CMU’s information privacy and security students will provide information and answer questions to help people protect their online privacy. Results of privacy research at the university will be presented at a 3:30 p.m. poster session, also in Rangos 2.